Our families can have a hard time letting us go. We’ve grown, married, and started our own families, and yet no matter old we get, our mothers still see their little babies when they look at us. We may never be able to change the way they see us, but we might be able to help them understand that it’s our turn to do for our kids what they did for us. 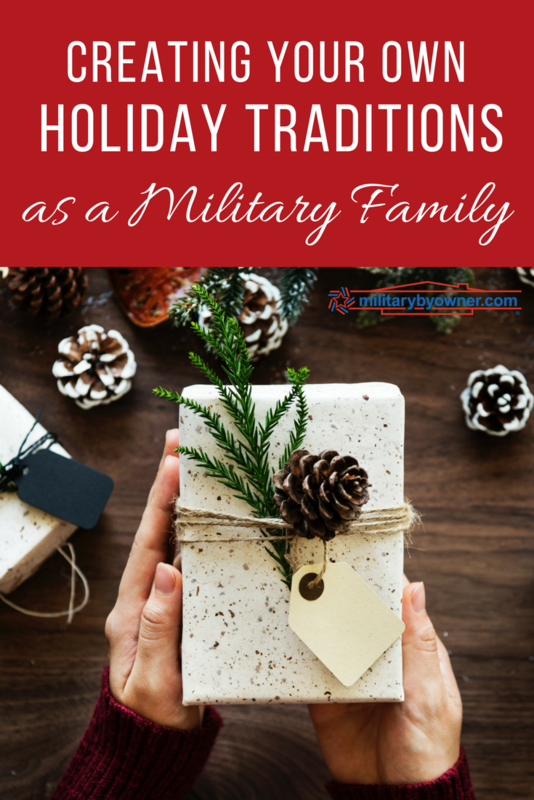 As military families, perhaps we can help family understand that instead of traveling "back home" for the holidays, it’s time for us to stay put for Christmas and make our own traditions at home. But I’m no pro; in fact, our little family has only spent one Christmas away from home. So I turned to a few military spouse friends and asked how they’ve managed to make their own holiday traditions. Start by being honest. Communicate that you want the same for your kids that you had growing up... and that means staying home for Christmas. Traveling home for the holidays isn’t easy; it’s expensive and stressful. Plane tickets cost money, road trips with little kids aren’t usually fun, and transporting gifts is a pain. Logistically, it’s much easier to stay home for the holidays. "We’ve found that Xmas isn’t the best time to visit home for several reasons: it’s easy to get sick on the airplane, many family members we intend to spend time with end up being too sick to attend gatherings due to cold and flu season….and gifts are a hassle to bring or ship home if you are opening there." -Brenda M.
Since you’re not traveling home to be with them, invite the family to your home for the holidays. Or try other ways to include them. Ask for advice, FaceTime, and make an effort to include them in your plans. Help them to feel a part of your Christmas even if you can’t be together. 4. Suggest a new tradition. Since Christmas is a busy time of the year and expensive to travel, suggest making a new tradition that brings the whole extended family together. "My mom hosts an annual picnic in the park now back home in August. Everyone from all different branches of the family tree are invited, and she doesn’t make anyone feel guilty for not coming. There are no gifts, nobody is sick, the weather is better, etc. -Brenda M.
5. Remind them that time off is a luxury for military families. Raise your hand if your extended family takes a vacation every year? Now raise your hand if your military family takes a vacation? The last trip my husband and I took a trip was for our honeymoon. Our families expect us to travel home every holiday, but what they don’t realize is that the holidays are also one of the few times we have available to take a vacation. Especially when you live OCONUS, this may be the time to explore a new area that you otherwise wouldn’t. As you make plans for this Christmas and even ones to come, focus on your immediate family. Are the holidays so stressful that you can’t enjoy the season? Maybe it’s time to set different expectations with your extended family and create a few of your own holiday traditions!